For a limited time during the holiday season, folks on AT&T who purchase any LG smartphone can take advantage of multiple offers, including scoring a G Pad 7.0 for just $0.99 on contract, 50% off an Android Wear-powered G Watch, and 50% LG-made Tone Bluetooth headset. To clarify, these deals are stackable, meaning you can have all of them with one purchase, when buying a LG smartphone, such as the G3. The G Watch is priced at $229 on Google Play, so saving yourself 50% is not bad at all, especially if you are already getting yourself a fancy new smartphone. In addition, LG’s Tone headset goes for $60+ on retailers, so your savings can stack up quite a bit. 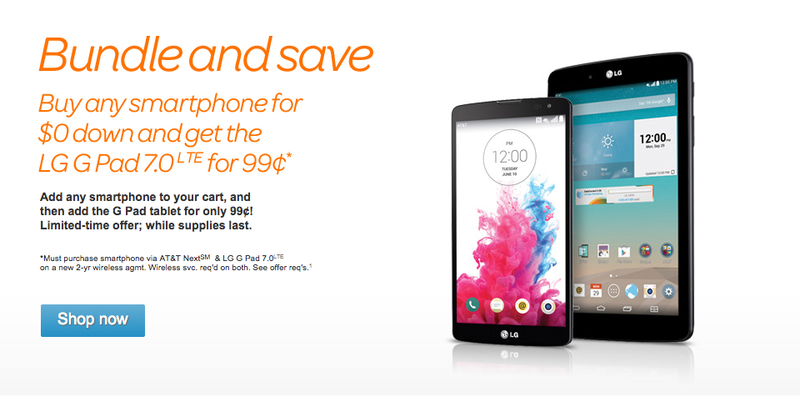 If you are interested in a full lineup of LG products this Christmas, head on into your local AT&T store, or check out the promo details online. Video: HTC One (M8) GPE Lollipop Tour!